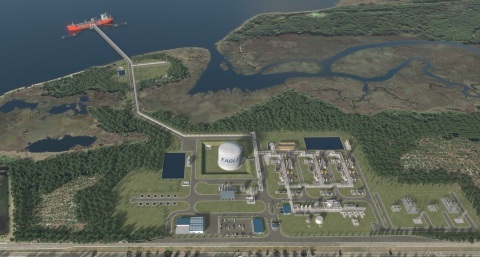 Eagle LNG Partners (“Eagle LNG”) meets a major milestone for their Jacksonville Export Project. The United States Federal Energy Regulatory Commission (FERC) granted the company their draft environmental impact statement (DEIS). The draft EIS puts Eagle LNG on a clear path to FID on the Jacksonville Export Project and continues Eagle LNG’s success in using small-scale LNG to supply bunkering to the marine industry and to provide small scale LNG cargoes to markets in the Caribbean.